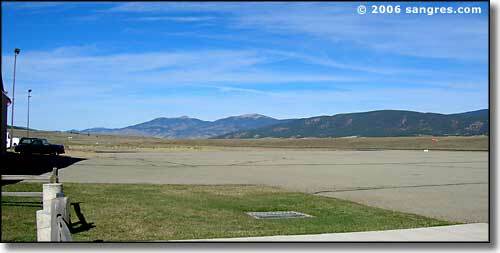 Angel Fire Airport (AXX) is the 5th highest in the United States. Runway 17/35 is an 8,900' x 100' surfaced runway (jet capable), maintained by a fixed base operator (Ross Aviation/Pearce Enterprises) catering to corporate and private aircraft. Pilots use UNICOM 122.8. A new lighting system and a GPS approach system was installed in the spring of '98. LAT N36 25.24'/LONG W105 17.40', pilot radio activated PLASI approach, elevation is 8,382' with prevailing winds from the west. Fuel: 100LL/JET A. You can shut down and be on the slopes in less than 10 minutes.